Almost nobody is out there claiming that we should put an end to democracy for good, that we should scrap elections altogether, that we should just install a dictator or an AI overlord. Donald Trump’s claim this week that he has the absolute power to pardon himself may indeed place him above the law, like a king or dictator, but the shift is within the paradigm. Change is almost always incremental, and before we know it, our story and our customs and therefore the very things that underpin our laws will already have been changed. Apathy, naked hostility, growing polarization, lack of civic dialogue, unceasing assault on institutions such as the press and the rule of law, our often celebrated illiteracy, and our day-to-day behaviour on social media – these may just bring us to the same outcome. Today we’re going to talk about climate change, and with that, something called science literacy. 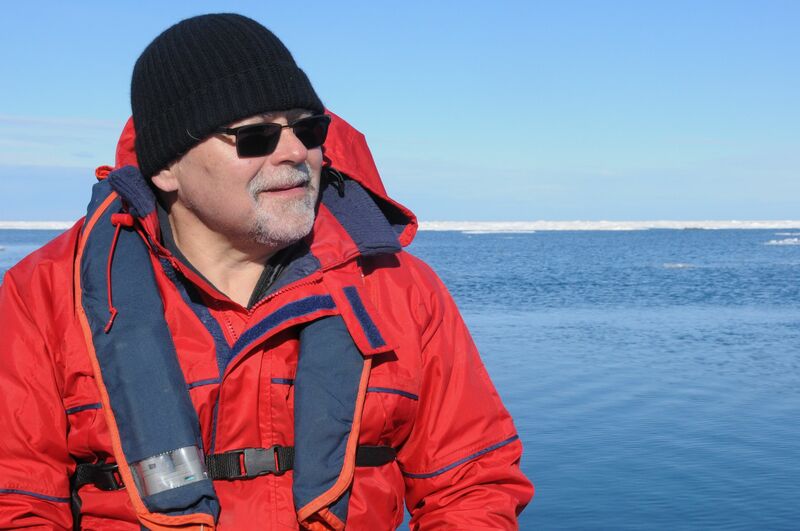 The discussion is with one of Canada’s most well-respected and hard-working climate scientists, Professor John Smol of Queen’s University. I encourage you to look him up. This guy is not just unquestionably smart, and passionate, and dedicated. He is trained. He has spent his entire career studying and learning and researching. He has tried to figure out, quite literally as a biologist, what on earth is going on. And yet, placed side-by-side with a climate change-denier’s Facebook post, his word is apparently worth no more than your next-door neighbour. No more than mine. No more than yours. This is a problem. Not because Dr. Smol should be elevated above the rest of us, but that his work should be given more weight than, say, a blog post I just whipped together. Now, I imagine most of you listening accept the fact that not only is our climate changing rapidly, but that the change is anthropomorphic – that it is caused by humans. I also imagine that someone who denies this isn’t going to be convinced by what I’m saying, or by my conversation with Dr. Smol. So why bother? Because science literacy is not just about climate change. It’s about everything. Who do you want fixing your car? A mechanic with experience, or some guy on Reddit who screams about how car mechanics are out to gouge you? Who do you want teaching history and chemistry and literature to your kids? Someone who has gone to school and trained for the job, or someone who posts YouTube videos about how chemistry is a joke and that evolution is just a theory and that history is, well, whatever we decide happened. Some debates need to be had, of course. The one culminating right here and now in Ontario with the election – that’s a necessary debate, where no candidate or party holds the silver bullet to solve our problems. But the role of scientific inquiry, accepted truths, of fact, in this debate and others, is of crucial importance. The parties and leaders can be evaluated as equals. But not the things they say. If one platform is measured, considered, vetted, costed, and one is not – shouldn’t they be treated differently? Our leaders are entitled to their own opinions, but not to their own facts. And we citizens must know, and must learn to know, the difference. We need to be politically literate. Literate voters. Literate citizens. Literate participants in the ongoing dialogue, because the conversation will go on whether we like it or not, whether we speak up or not, whether it remains dialogue or becomes a shattering monologue. If we’re going to live in a world where everyone has their own private, narcissistic channel of selfie-dominated communication to the world, unfiltered by the media or government or any other iron fist in a velvet glove, fine. But when we aren’t posting cat videos and square photos of every meal, when we decide to say something of impact, to enter into the debate, as is our right, then we better know what on earth we are talking about, and we better be able to distinguish between fact and fiction, or this will all end up very badly.